Katherine Brittin manages the Correctional Services Programme, overseeing staff working in correctional centres in the Western Cape, Eastern Cape and part of KwaZulu-Natal. She ensures this high-performing programme meets its targets to screen inmates and officials for TB and HIV and care for those affected. Katherine qualified as a midwife in 1996. 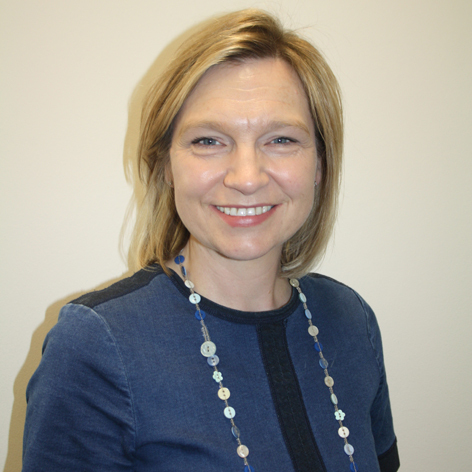 After a successful clinical career, Katherine was appointed as a senior level manager within the National Health Service (NHS) in the UK. Her career has spanned 20 years with interests in maternal & child health, poverty related issues and a focus on HIV/TB. A lifelong interest in South Africa led her to adopt the country as her homeland in 2000. The move has allowed her to diversify her career journey. She completed a Masters in Public Health specialising in Health Systems at the University of Cape Town. She has worked for NGOs and academic institutions and in 2014 became a certified Quality Improvement (QI) Advisor with the Institute of Health Care Improvement (IHI). Katherine’s commitment and passion is in developing people, whether they are health care personnel or clients. She has been a coach and mentor to health care managers to capacitate effective service delivery and to support health care professionals to achieve the successful transition from clinician to manager.